One of the key rules of the Internetz is to have multiple and sophisticated passwords for everything. Unfortunately, very few of us follow that rule and simply use a minor variant of the same password for everything. If this sounds like you, then you might want to check out the Ultimate Password Manager app. The Ultimate Password Manager app is a fully loaded password manager and intelligent password generator. 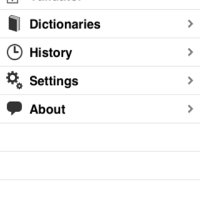 As such, Ultimate Password Manager combines two password related features into one iPhone/iPod Touch application. The password managing features of this app give users the ability to store their passwords in what is called a “password safe”. Users can store passwords with descriptive information such as a name, note, or description and further assign a password type and category (allows for quick retrieval). Users can also set a validity date and duration period for each password. Since this is a security app, passwords can be set to expire, as alluded to earlier. Because passwords can be set to expire, the app provides methods of password renewal. When a password is about to expire, the specific entry is “yellow-flagged” and this allows users to prepare them for renewal. When a password completely expires, it is “red-flagged” which means the password should be renewed immediately. 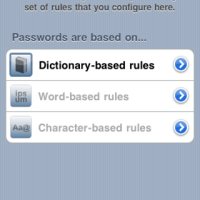 To renew a password, the app provides a linked password profile function that contains rules for renewal. 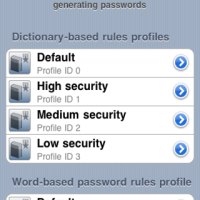 The profile(s) include user chosen rules for password generation. So for example, users could have a profile for specific websites, work related materials, or personal passwords. The profile feature is actually rather helpful as it saves users time from having to think up some type of complex password to use and lets users just choose a profile from which to define a password. Aside from password management, the app doubles as a password generator. Passwords are generated by using user chosen rules, similar to what is found in the password profile. Users can select between dictionary-based, word-based and character-based passwords which further includes lowercase, uppercase, numbers and even special characters. Once the rules are chosen and password set, the app can alert users of the strength of their password. If passwords aren’t your thing, and you’re looking for a great password manager (and generator! 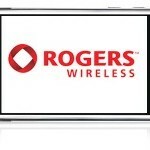 ), give this app a look. Ultimate Password Manager is available in the App Store for $1.99.